Somewhere around the end of last year, popular Chinese manufacturer Xiaomi unveiled a gorgeous concept smartphone, the Mi Mix, which managed to take the whole tech world by surprise, thanks to its near bezel-less display. 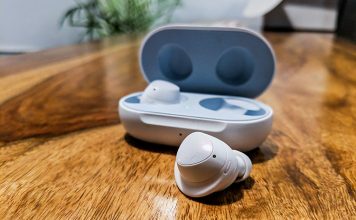 The company even announced the pricing and availability of this device, which is one of the primary reasons that got everyone all hyped up. This year, most of the major brands have been following this bezel-less trend which can be seen from smartphones like the Samsung Galaxy S8, LG G6 and even the upcoming Apple iPhone 8 that’s expected to be unveiled next month. In addition to this, some other relatively new Chinese manufacturers like Doogee and Maze Mobile have unveiled their own bezel-less smartphones that have taken design cues from the Xiaomi Mi Mix. 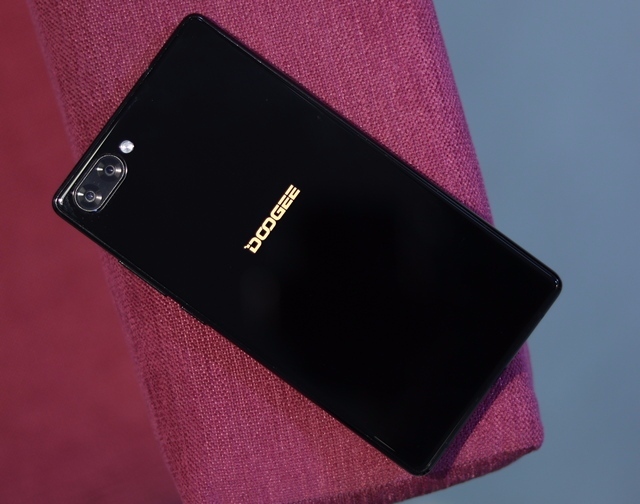 Well, the device that Doogee has to offer is pretty much the least expensive bezel-less smartphone that you can currently get your hands on, as it’s currently available for as low as $160. It’s called the Doogee Mix, and it looks pretty much like a miniature version of the Mi Mix at first glance. So, is this the best bezel-less smartphone you can buy if you’re on a tight budget? Let’s find out. As we mentioned earlier, the Doogee Mix looks pretty much like a smaller Xiaomi Mi Mix on first sight. Well, this is pretty much due to the fact that the screen is nearly bezel-less except for the phone’s chin, similar to what we’ve seen on the Mi Mix. If you notice both these devices carefully, you’d immediately realize that the top and side bezels on the Doogee Mix are slightly larger. That being said, the device has a stainless steel frame in addition to a glass back, so we’ve got no complaints regarding the build quality of this budget smartphone. However, the phone feels very heavy for it’s size, as it weighs almost as much as the Xiaomi Mi Mix which has a considerably larger footprint. The Doogee Mix features a capacitive home button on the front,which is something that’s missing on the Xiaomi Mi Mix. The fingerprint reader is integrated right into this home button and it’s quite fast in terms of unlocking the device, so we have no gripe in this regard. What’s awkward about the Doogee Mix is the camera placement, and pretty much like the Mi Mix, the front facing camera is weirdly placed at the bottom. As a result, you’ll have to rotate the phone upside down, every time you want to click a selfie with your friends. Well, this is the price you have to pay for a near bezel-less display. In 2017, you’d be expecting a smartphone to pack a USB-C port, but Doogee has managed to disappoint us by opting for the ageing Micro-USB port on the Mix. However, the company didn’t choose to remove the 3.5 mm headphone jack out of courage unlike Apple, which is a good thing. 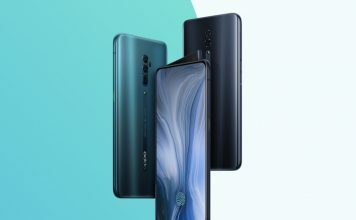 Apart from all this, the thin top-bezel provides enough room for the inclusion of a speaker, so Doogee didn’t really have to implement cutting-edge technology like the piezoelectric actuator that was used by Xiaomi to produce sound on the Mi Mix. This is the department where the Doogee Mix shines and disappoints at the same time. To be honest, we’ve been happy with the Super AMOLED panel that could reproduce vivid colors and deep blacks for all the eye candy that you’ll need. However, considering the display is 5.5-inches in size, the 720p resolution simply does not make the cut in terms of overall crispness. A Full HD panel would’ve definitely been a valuable addition, but we think the manufacturer tried to cut the costs here. That being said, we haven’t noticed any form of flickering while trying to record a footage of the phone’s screen, which is something that you get to experience on most AMOLED panels. This is probably due to the active matrix backplate or the screen’s refresh rate that’s clocked slightly higher at 63.13 Hz. Brightness is another area where the Doogee Mix seems to be mediocre, and just like almost all the AMOLED panels available today, this smartphone’s brightness levels are inferior in comparison to what you’ve normally seen on IPS panels. Apart from all this, the smartphone has an impressive screen-to-body ratio of 76.24% that falls short in comparison to the Mi Mix, which has an even higher screen-to-body ratio at 83.6%. 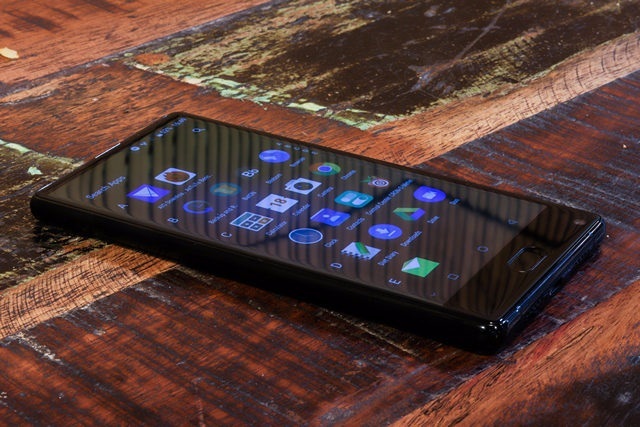 All in all, if you can overlook the underwhelming resolution, the Doogee Mix’s 5.5-inch AMOLED screen is still quite impressive, especially when you take the device’s price point into consideration. The Doogee Mix ships with Android 7.0 Nougat out of the box, but features a custom skin on top of it. So, if you were expecting a stock Android experience, you’ll be disappointed. However, the interface is something that you might either love or hate, but personally, I was not impressed, as it had its fair share of bloatware pre-installed. First of all, there’s a dedicated news section that can be easily accessed by swiping left on the home screen. Unfortunately, you can’t disable or swap it with anything else, just in case you actually hate it. On the home screen, you’ll immediately notice an annoying cat that’s hanging on a rope that barely adds any functionality. However, this can be disabled in the internal setting of the launcher. There’s an app drawer as well, that arranges all of your applications in the alphabetical order by default. 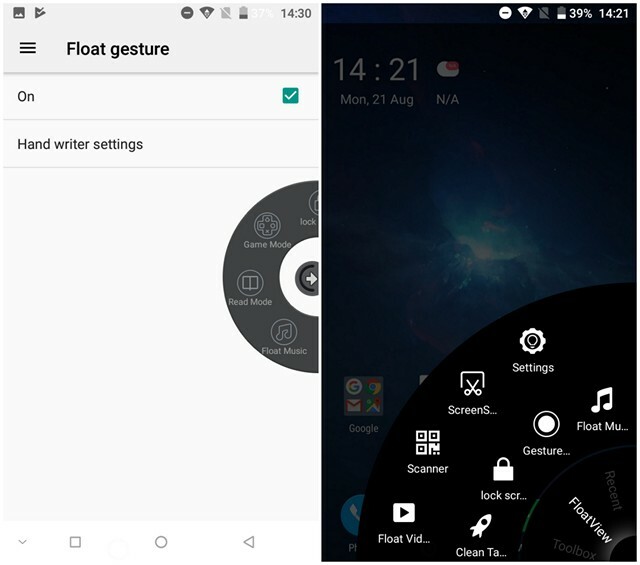 Moving on to some of the unique features that the Doogee Mix’s software has to offer, we have Float gesture and One Hand FloatView. The former is nothing but a floating ball, which lets users to access and easily switch between various modes like Game Mode, Read mode, Float Music, Float 4Video, etc. The latter, called “One Hand FloatView” is pretty similar in terms of functionality and can be brought up by swiping in from the bottom-right corner of the screen. Personally, I don’t find this feature appealing as it usually takes a number of attempts before popping up on the screen. Additionally, the software includes a One-handed mode that can be initiated by swiping from left to right from the bottom of the screen. This is particularly useful if you’re in a situation that requires one-handed operation. 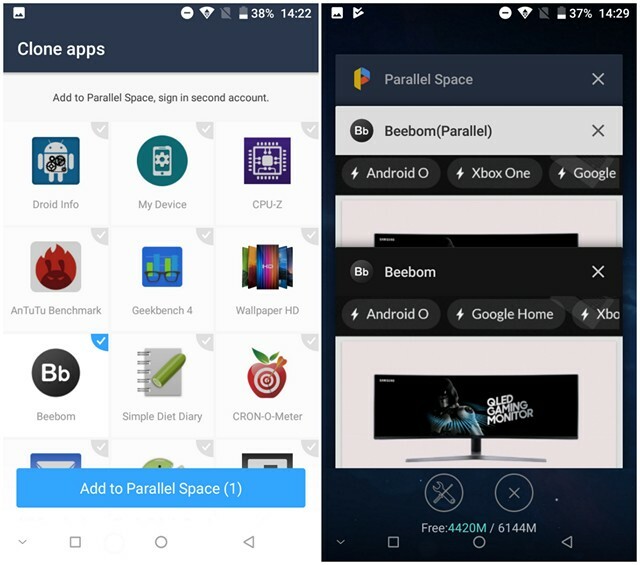 Apart from this, Doogee has also managed to integrate the Parallel Space app in the Android OS itself. It’s quite similar to the Dual Apps feature that we’ve seen across the recent Xiaomi smartphones, including the Mi Mix. 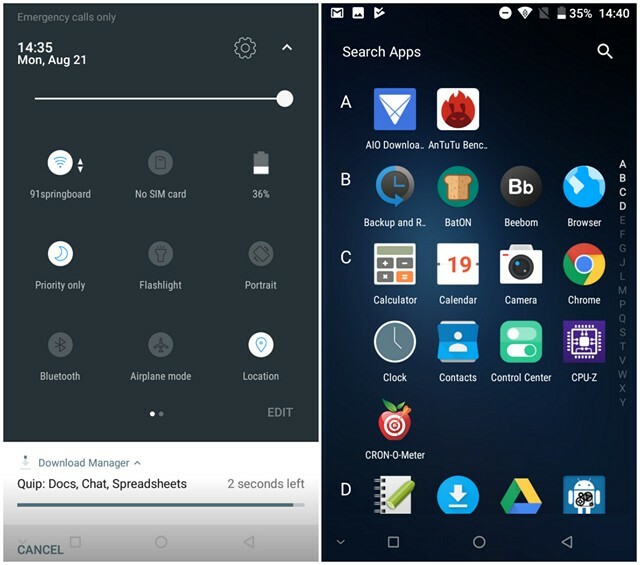 As the name suggests, the feature essentially lets you install and run two instances of the same application. This is pretty useful if you have multiple accounts on social networking services like Facebook, WhatsApp, Twitter, etc. All in all, the user interface of the Doogee Mix is just average in comparison to most of the competitor’s skins. Though we enjoyed using some useful features like Parallel Space and one-handed operation, we were disappointed with the occasional slow-downs and unresponsiveness, while scrolling through the menu. That being said, these issues can be easily fixed by the manufacturer through software updates. The Doogee Mix seems to be pretty strong on paper, as the device is powered by the MediaTek Helio P25 octa-core processor clocked at 2.5 GHz, coupled with either 4 or 6 GB of RAM, depending on the variant you’re opting for. However, in terms of real world performance, it falls short in comparison to other competitors in the price range, like the Xiaomi Redmi Note 4 and Lenovo Z2 Plus. This smartphone is a good example for why you shouldn’t judge any smartphone by just looking at its spec sheet. 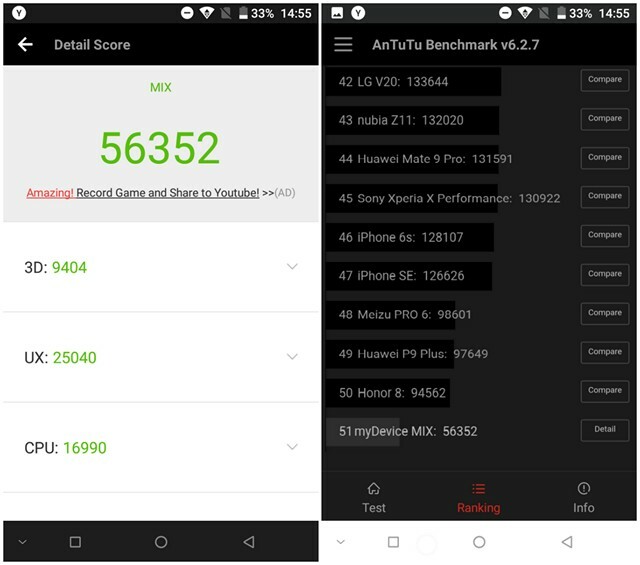 For benchmarking, we decided to use Geekbench and AnTuTu to check the potential of the Doogee Mix. Starting up with Geekbench, the smartphone scored a single-core score of 850 and a multi-core score of 3977. 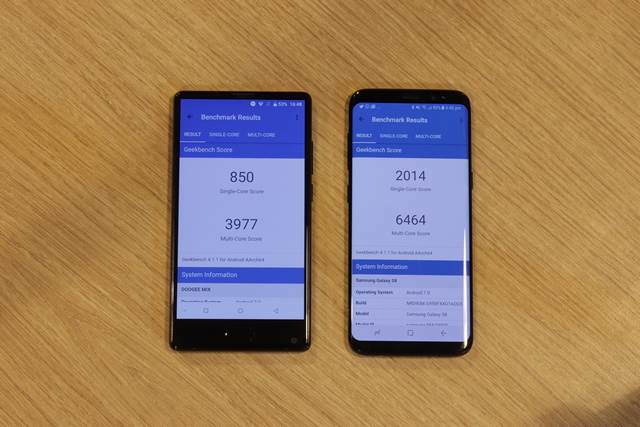 In comparison, the Samsung Galaxy S8 powered by the cutting edge Snapdragon 835 chip scored 2014 in single-core performance and 6464 in multi-core performance. Now, let’s compare Doogee Mix’s scores to a similarly priced smartphone like the Xiaomi Redmi Note 4. The Snapdragon 625-powered Redmi Note 4 scored slightly lower than the Mix in both single and multi-core performance, but the MediaTek Helio X20-powered Redmi Note 4 crushes the Doogee Mix in both single-core and multi-core performance tests. Moving on to AnTuTu, the Doogee Mix fell short in comparison to both the processor variants of the Redmi Note 4, scoring well below the 60000 mark. However, it has managed to outperform several mid-range smartphones from 2016, like the Samsung Galaxy J7, Moto G4 Plus and the Sony Xperia XA. For a bezel-less beauty that costs just over $160, we’re still impressed with the benchmark results of the Doogee Mix. Benchmarks aside, the Doogee mix is just decent when it comes to real-world performance, but it could’ve been way better if it wasn’t for the poor optimizations from the software side. As discussed earlier, occasional stutters and slow-downs might be a concern for many. 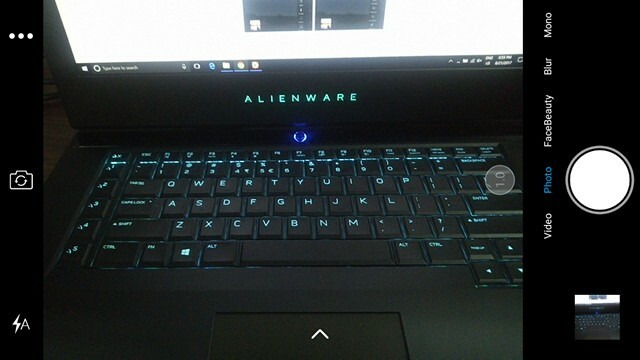 Users will have to try a few times before they can invoke some features like One-Handed FloatView. However, on the upside, multi-tasking performance is impressive which is mostly due to the inclusion of 6 GB of RAM. 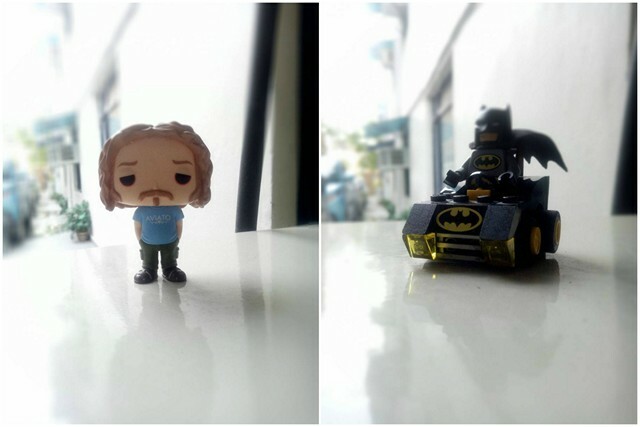 First of all, let’s talk about the primary camera on the Doogee Mix. This near bezel-less beauty features a dual 16 MP + 8 MP camera set up featuring Samsung’s ISOCELL sensor. When people usually notice the Samsung branding, their expectations levels are raised higher, but there’s nothing much to say here, as the camera is pretty much a disappointment. 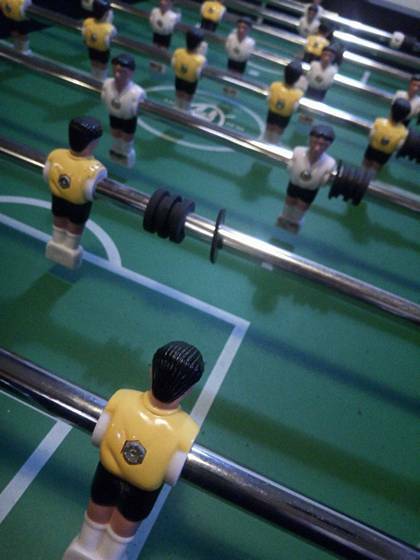 The photos lack detail, sharpness and are a bit on the darker side, similar to most other budget smartphones. 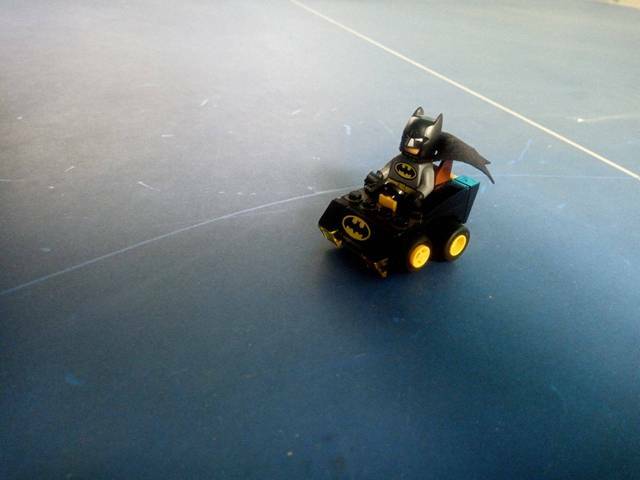 Low-light performance is underwhelming as well, as users will have to deal with a lot of noise in their photos. The primary aim of this dual-camera setup is to produce the bokeh effect where the background is blurred, similar to what we’ve seen on the iPhone 7 Plus and recent Huawei smartphones. The Doogee Mix is nothing short of a disappointment when it comes to getting this job done, as the bokeh effect that you get is nowhere close to perfect. Even third party applications tend to do a better job at creating an artificial bokeh on your photos than this smartphone. The camera UI looks quite similar to the iPhone’s camera app, which is actually a good thing, as it’s uncluttered and fairly easy to use. However, the application becomes unresponsive at times, and therefore requires further polishing. The Camera app has a dedicated FaceBeauty mode that does a mediocre job at artificially enhancing your looks in a photo. 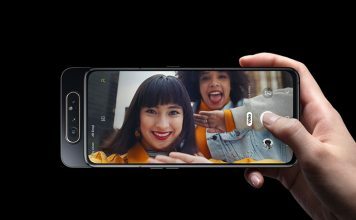 As far as video recording is concerned, users will be able to record 1080p footage at 30 fps, which is good enough, considering this is a budget smartphone. The quality of the footage is decent for a sub-$200 smartphone, so we’ve got no gripes in this department. Moving on to the front-facing camera, the Doogee Mix sports a 5 MP sensor with an f/2.2 aperture that’s decent enough to take selfies and groupies with your friends. This camera is weirdly placed at the bottom-right corner of the phone, just like the Xiaomi Mi Mix. Well, this is the price you’re paying for a bezel-less display, but I’ll gladly take it any day without complaining. 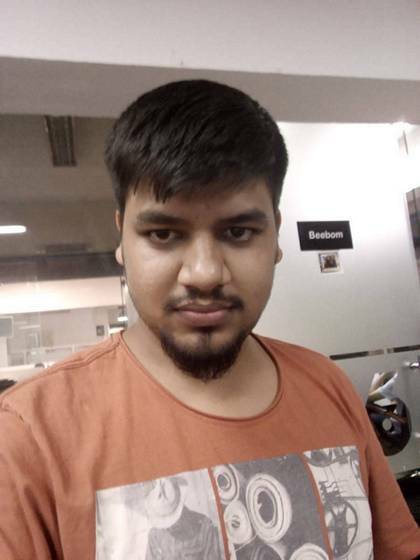 So, every time you want to make use of the front-facing selfie camera, you’ll have to rotate your phone, or else the pictures will come out pretty weird due to the angle. As far as the quality of the images are concerned, they lack detail and have a pinkish hue to it, thereby doing a poor job at accurately representing colors. Regardless of the performance and looks that the Doogee Mix has to offer, the most important aspect of any phone is nothing but telephony. Afterall, what’s the point of a “smartphone” if it can’t even make calls properly? If you’ve used the Xiaomi Mi Mix for phone calls, you’d have already realized that the device outright disappoints in this department due to the usage of a cantilevered piezoelectric actuator instead of an actual speaker, a sacrifice which the company had to make for a bezel-less screen. Well, that’s not the case with the Doogee Mix, as it features an actual speaker in the slightly thicker top-bezel, so users don’t really have to be worried about the call quality as it’s quite decent. The audio quality on the other hand, is pretty mediocre for listening to music. The speaker is located at the bottom of the phone, and it doesn’t do much justice in terms of clarity. However, it should be good enough to watch YouTube videos, podcasts, etc. For anything else, we’d recommend to use a good pair of headphones for better sound quality, especially when you’re listening to songs. 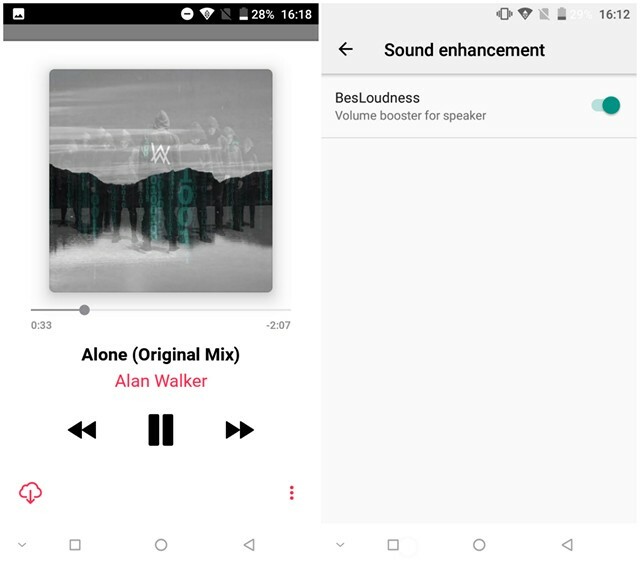 That being said, there’s an option called BesLoudness that can be enabled in the Sound Settings menu, which essentially boosts the volume of the speakers by a noticeable margin. If you prefer quality over loudness, you should keep the option disabled as the booster affects the overall sound quality. The Doogee Mix has Dual-SIM support, so if you have multiple SIM cards like me, you’ll be able to take advantage of this. However, it’s worth noting that one of these slots is Micro-SIM whereas the other one is Nano-SIM. The smartphone has support for multiple LTE bands that’s aimed at Chinese customers. So, if you’re living in some other country like the United States, do make sure that the bands utilized by your carrier is supported by the Doogee Mix, before you go ahead and purchase the device. Personally I’ve tried out my Airtel and Reliance JIO SIM cards on the Doogee Mix, and I’m pleased to say that both of them worked without any hassle. Additionally, the Doogee has support for Bluetooth 4.1, GPS with GLONASS and dual-band Wi-Fi a/b/g/n, so basically there’s no shortage in terms of connectivity. For charging, users will have to make use of the ageing micro-USB port, which is kind of disappointing for any smartphone in 2017. Unlike Apple, Doogee didn’t have the “courage” to remove the 3.5 mm headphone jack from their smartphone, so there’s no need to worry in this regard. The Doogee Mix features an impressive 3,380 mAh battery that’s good enough to last you throughout the day under moderate usage. The smartphone can only take 2 A at 5 Volts, which essentially means it won’t be able to charge quickly. 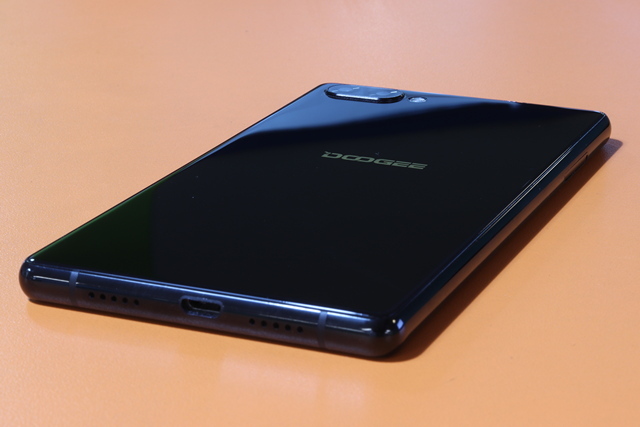 Nevertheless, users will have to wait around 2 hours to fully charge their Doogee Mix smartphones, which is average in comparison to the 2017 smartphones that come with fast-charging capabilities. 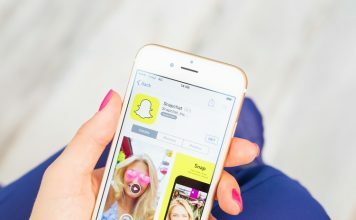 The battery performance is actually great when it comes to standby, talk time and even video playback, but it falls quite short when it comes to web browsing, as the smartphone will run out of juice in just under 7 hours. This is kind of disappointing considering the fact that it’s powered by the 16nm MediaTek Helio P20 chip and has a power-efficient 720p Super AMOLED display to go with it. Well, we could blame the poor software optimization for the faster battery drain during web browsing. 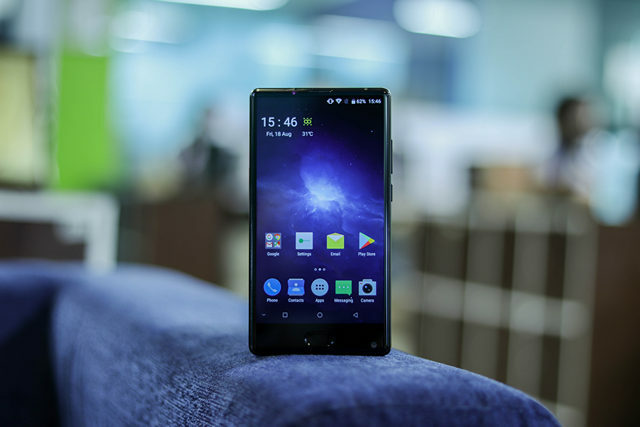 Personally, I consider myself as a heavy smartphone user, and in my usage, I’ve been using the Doogee Mix for frequently texting and browsing on social networks like WhatsApp and Facebook, in addition to watching plenty of videos on YouTube. Additionally, I did manage to spend a fair amount of time browsing on Google Chrome and played a couple of intensive games for like 30 minutes. Well, the battery on this smartphone lasted just over 8 hours before running out of juice. That being said, depending on your usage and brightness settings, the battery life that you get might totally vary. Almost all of the bezel-less smartphones that have been available so far, came with a hefty price tag. Sure, smartphones like the Samsung Galaxy S8, LG G6 and the Xiaomi Mi Mix look like they’re straight from the future, but not everyone has the cash to shell out over 600 bucks for cutting-edge design. Well, Doogee has successfully managed to deliver a near bezel-less beauty for the people who’re on a tight budget with the Mix. We have no criticisms regarding this budget smartphone’s design and build quality, but is this phone all about style rather than substance? Personally, I feel like it, as the manufacturer has tried to cut down costs in other departments. 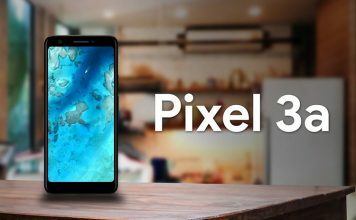 While there’s no doubt regarding the fact that you’ll fall in love with this near bezel-less design, you’ll certainly not be impressed with the 720p screen resolution, as the competition nowadays offer a lot more even at a lower price point. Users will also be disappointed with the camera setup that’s underwhelming even for the budget segment, as the images lack sharpness, detail and color. Even the dual-camera setup that’s primarily intended for creating the bokeh or depth effect in photos, doesn’t even come close in getting the job done accurately. Apart from this, due to lack of software optimization, the Doogee Mix’s real-world performance is affected by occasional stutters and slowdowns. 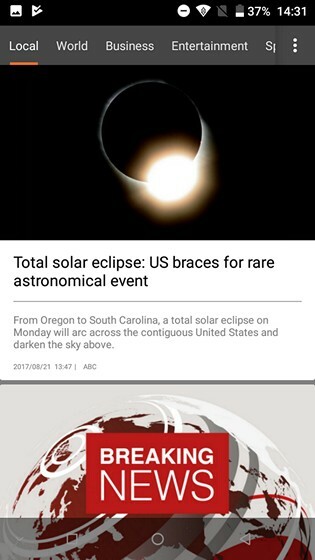 As you can see, there are some sacrifices that you have to make, in order to get your hands on a budget bezel-less smartphone. 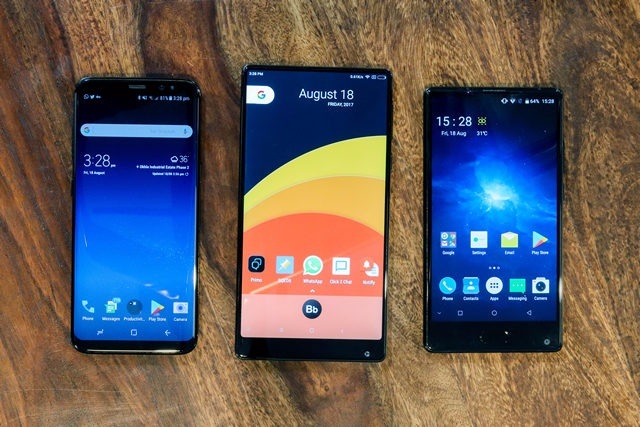 Although the Doogie Mix can satisfy your thirst for a bezel-less device, it’s definitely not the only option available on the market right now. That’s right, did we not tell you about the new LG Q6? Well, this is another budget bezel-less smartphone from a reputed brand, which is currently available for a slightly higher price. 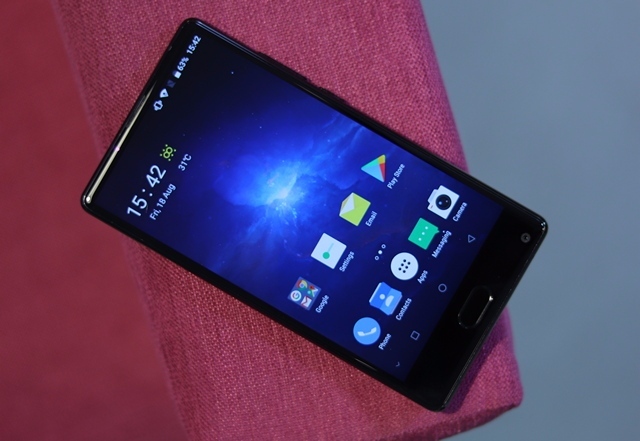 In addition to this, there’s also the new Maze Alpha smartphone which can be bought for under $200. So, there are three options that you can currently choose from, depending on your budget and preferences. That being said, for a price tag starting at nearly $160, the Doogee Mix is still the least expensive bezel-less smartphone that you can currently buy. Doogee Mix: More Budget Bezel-less Smartphones to Follow? While no one expected a bezel-less design in a budget smartphone this year, Doogee managed to shock the tech world by introducing the Mix. 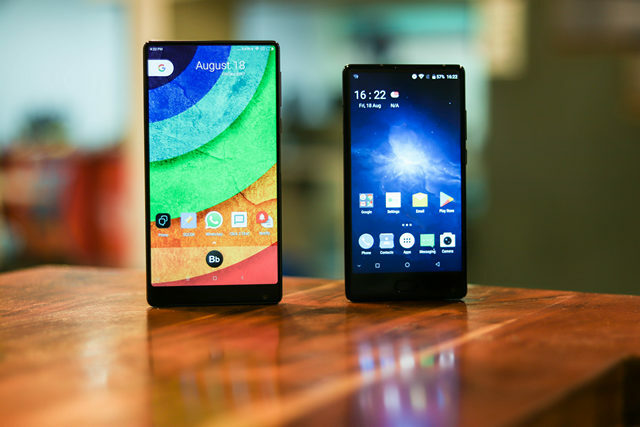 It’s the first budget bezel-less smartphone that was made available to the public, and within a short duration, we already have three budget bezel-less devices to choose from, including the LG G6 and the Maze Alpha. This could force even more manufacturers to hop into the bezel-less game in the budget segment by the end of the year. Well, what do you guys think about the new Doogee Mix? Are you willing to spend your hard earned cash on this bezel-less beauty? Do let us know, by shooting your valuable opinions in the comments section down below. 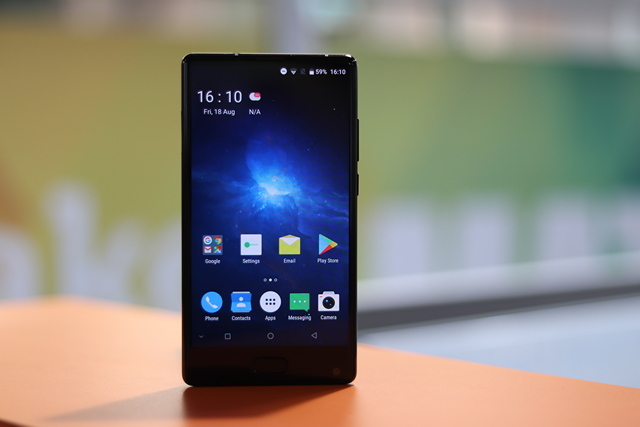 If you are looking for a budget bezel-less smartphone, the Doogee Mix is your best bet but it has a few shortcomings that might be a big deal for some people.